It is rare that an important contribution by a major author goes unrecorded. Rarer still if the author is Oscar Wilde, the famous poet, writer, dramatist, and much quoted wit, who has been the subject of continual interest and analysis since his death in 1900. 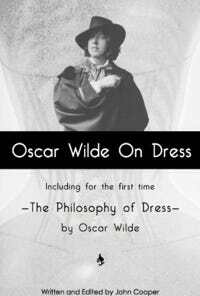 But such has been the fate of his 1885 essay The Philosophy Of Dress. 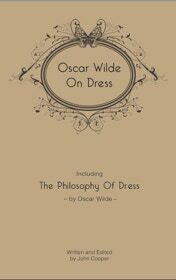 This work now forms the centerpiece of a unique collection of Wilde’s writings on dress and fashion. 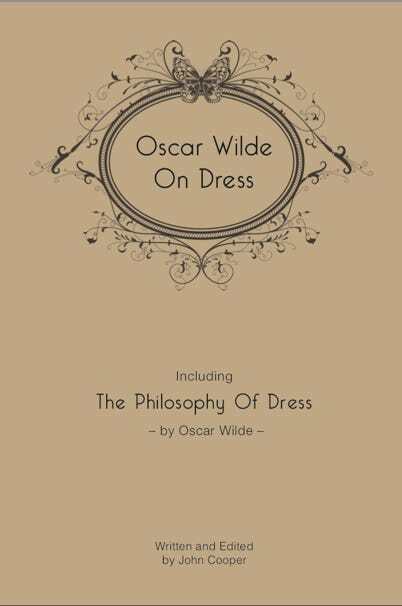 In the book, in addition to the essay, there are generously annotated and illustrated chapters that analyze the importance of dress to Wilde’s writing career, and a comprehensive review of the influences, trends, characters, and source material that informed his dress philosophy. As a compendium this book includes several period articles and letters by Wilde on dress and fashion, along with related, but rarely published, correspondence. Oscar Wilde continues to be favorably reappraised as a one of the most culturally avant garde tastemakers of the nineteenth century. In an ever fashion-conscious world it is fitting that the themes explored, like the author himself, are still relevant. In this respect the book will be of historical value to fashion students and practitioners. Wilde’s relationship to dress is a previously overlooked aspect in his life and this book should prove to be of interest not only to Wildean scholars, but also to anyone who enjoys Wilde’s style of writing. ﻿This ﻿book ﻿was ﻿produced ﻿by ﻿Bella ﻿Forte ﻿Bookbinding ﻿and ﻿Letterpress ﻿(Philadelphia) ﻿on ﻿Crane ﻿100% ﻿cotton ﻿paper, ﻿hand ﻿sewn, ﻿and ﻿hand ﻿bound ﻿in ﻿Iris ﻿linen ﻿with ﻿a ﻿printed ﻿cover ﻿design ﻿by ﻿Joanna ﻿Darlington. ﻿Revised ﻿and ﻿updated ﻿with ﻿a ﻿new ﻿section ﻿of ﻿letters ﻿and ﻿now ﻿over ﻿250 ﻿annotations.